ACSYS - Proactive Idea Generator for Longterm Customer Relationships - Interview with Gerhard Kimmel, founder and managing director - ACSYS Lasertechnik UK Ltd.
ACSYS Lasertechnik GmbH knows every detail of the laser process. The laser system market has been very dynamic over the last few years. The reason is that laser applications are finding their way to more and more industries. This increasing variety presents mid-sized companies in Germany with great challenges, in addition to which they are facing increasing market competition from Asia. 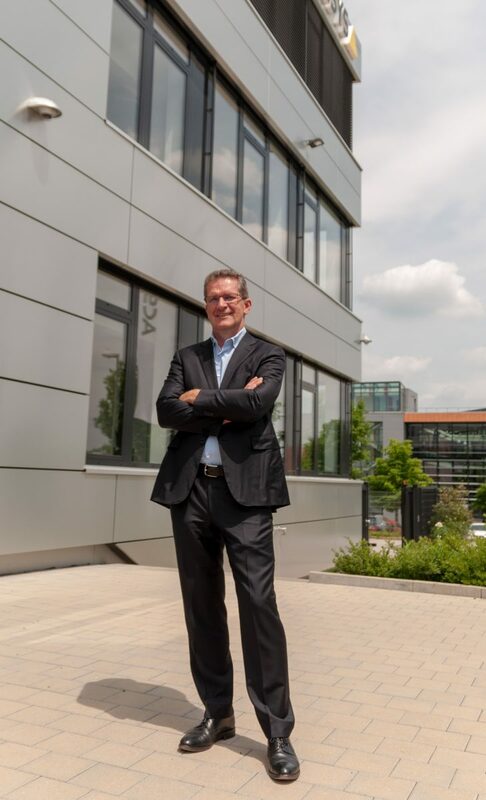 On the occasion of its 15-year anniversary, owner-led ACSYS Lasertechnik GmbH (Kornwestheim) is taking stock of its successful development from start-up to internationally active laser system manufacturer. We talked with founder and Managing Director Gerhard Kimmel about his concepts and ideas, his goals for the future, and how his team finds daily motivation for new solutions. 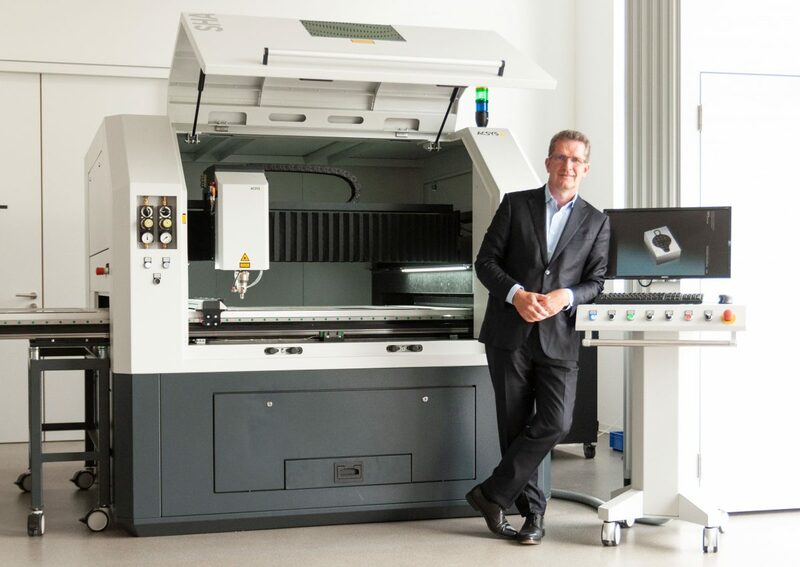 Gerhard Kimmel, managing partner of ACSYS Lasertechnik GmbH. What is your estimation of the development and the prospects of laser system technology? The prospects for the laser tool are fantastic – it is an amazing processing medium. It is more precise as effective than mechanical processing and allows the production and rework steps to be dispensed with. A laser system can pay for itself in a very short time. I think that the introduction of the fiber laser in 2007 was a huge technological advance. The fiber laser represents the state of the art in many application areas. The ultra-short pulse laser is a new up-and-coming technology with great application potential. How will this development affect the market? I see a trend that will lead to laser applications in many disparate industries. And the establishment of the fiber laser has brought new actors the market, actors who are buying components and vendor parts and building simple laser machines. This has resulted in the presence of many suppliers in the low-price range. We operate in a field of large suppliers that focus on high numbers of standard machines and many smaller companies that focus on simple solutions or one-off prototypes or special solutions. In China, state-supported suppliers that nobody had ever heard of a few years ago are supplying laser systems for pocket change. How is ACSYS, a mid-sized company, holding up against that competition? We develop high-quality, reliable, industrial laser systems that meet our customers’ requirements and perform their machining tasks in the best possible way – and in a manner that guarantees availability. We work proactively as an idea generator with great development, application, and service competence. What else is there that separates ACSYS from the competition? When we founded the company in April 2003, our goal was to do things better. For instance, we started very early with developing our own software. We wanted to offer a bit more than others did, and not just buy and assemble parts. We reacted to market demands from the very beginning, implementing new technologies, developing our own patents, and remaining true to our philosophy: always providing the customer with the best solutions. What are the customers’ reactions? Since 2003, we have sold well over 1,000 laser systems and boast first-class references that we could have only dreamed of as a start-up 15 years ago. Our customers come to us because they like our products. The feedback we always get is this: ACSYS provides the best solution! This make ACSYS a unique laser machine manufacturer. Unique is our market-oriented development dynamics. It never stops. We constantly strive to provide solutions that are even better and more precise. We also score points with the great expertise of our staff, a highly motivated team that provides support for all projects worldwide in collaborative partnership. In the projects, our services range from planning to commissioning of the laser systems at the customer’s premises, of course, and even beyond. These are strengths that allow us to thrive as a mid-sized company. The focus, and my daily responsibility in everything I do, is safeguarding the future of the company. For me, doing work that covers costs is the reason a company exists. Looking back at 15 years of establishing the company, I see how important it was to give the company a solid foundation that was able to cushion the adversity on the European market and later the international market, and the order fluctuation that came with it. There is one thing that I am convinced of: Because we engaged in this solid corporate development, financial success came automatically. Success is not guaranteed. I know that I have a responsibility to the team and to the company. When I make decisions, I try to keep what’s good for the whole in mind. What do you mean by “the whole”? ACSYS, with its more than 100 employees and multiple German and international branch offices, is large enough to act with strength and substance. But it is also small enough to be flexible and remain close to the customer, whom it meets on equal footing. And when I look at ACSYS’s numbers today, I see a healthy company with a stable financial foundation. Over the last 15 years, we re-invested the money we earned in the company. I think that is the best thing you can do. We have been constructing this solid foundation from the very beginning: Three years after our founding, we were already planning the construction of our production plant in Mittweida, and in 2014 we expanded our headquarters in Kornwestheim. We networked our offices, our analysis service is digital with direct technician access, and for some time we have been constructing a knowledge management system. And how does that benefit the customer? This team knowledge and the experience of 15 years of project work is something the customer can sense when he comes to us with task requirements. It’s a process we call “customer sampling”: we work with the customer in our demonstration rooms, using various laser systems to develop a manufacturing process for his own component. The customer isn’t buying a black box when he comes to us; he can touch and understand the technology. For instance, we describe the procedure early on in the offer phase and document the laser machine using text and diagrams. Describing the process also minimizes risks for us, since it ensures that we have understood the customer requirements. Success depends on a sense of responsibility for each new task and each new challenge. For us, that is the foundation for long-term cooperation with our customers.